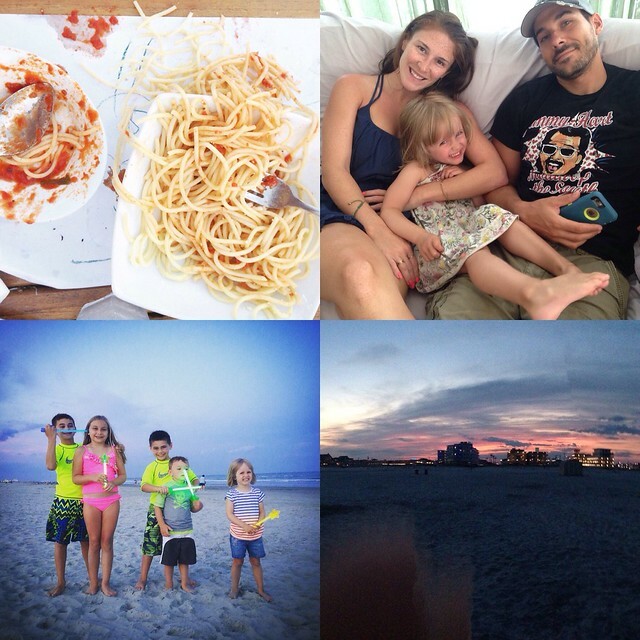 One last vacation recap post for you guys. 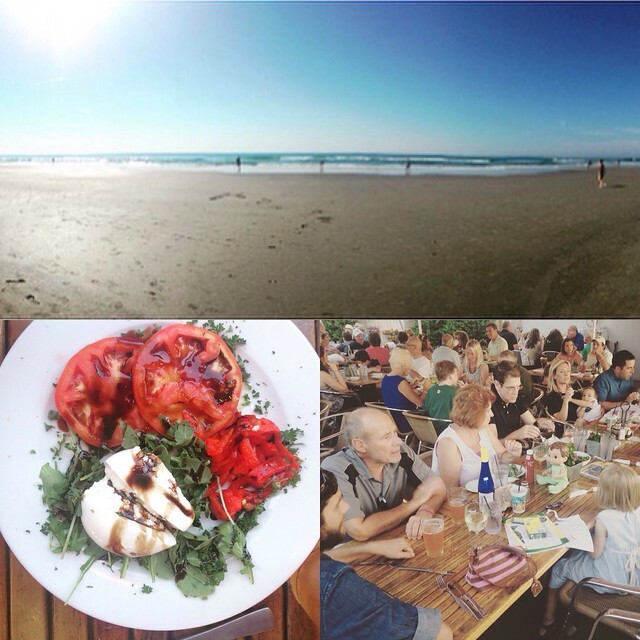 Our trip was amazing and restorative. Since we don’t normally vacation for two weeks (let alone ever! ), we tried to pack in a lot of experiences that will last us the whole year. We enjoyed an evening picnic on the beach. It was loads of fun for us (and the seagulls). Stephen and I trekked back to the Cape May Brewery with his brother and my SIL. I think my favorite brew is the cranberry shandy. Oh, and I went paddleboarding! It was a windy day, but I managed to stand up most of the time and not fall into the water. 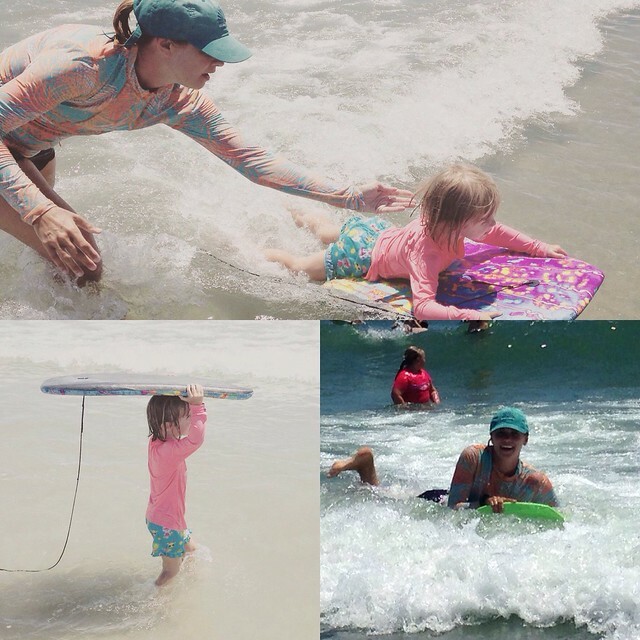 The big development this year was Ada’s boogie boarding love. She went on wave after wave after wave. Of course, she ended up falling into the waves several times. At first she would cry about it. Toward the end of vacation, she was just dusting herself off and squealing “AGAIN!" My favorite restaurant in Cape May is Panico’s. My favorite in Wildwood Crest is Poppi’s. They’re both Italian joints that have amazing pizza and salads and BURRATA. My absolute favorite. I hope to try and make some burrata by the end of the summer. 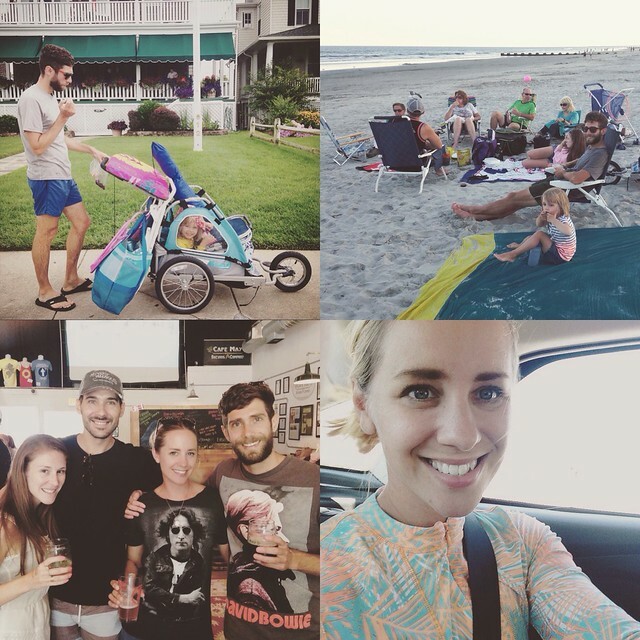 This year we opted to stay around town to dodge the usual mass exodus from all the shore towns. And we’re so glad we did. 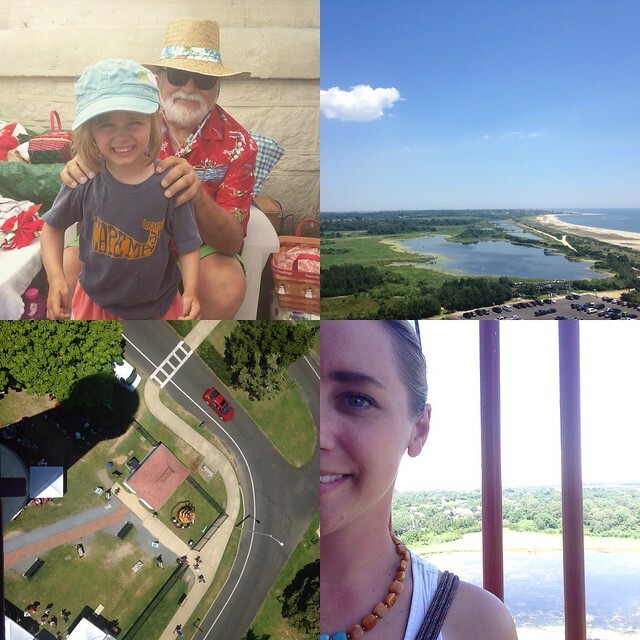 The Cape May Lighthouse park was having a little Christmas in July celebration. 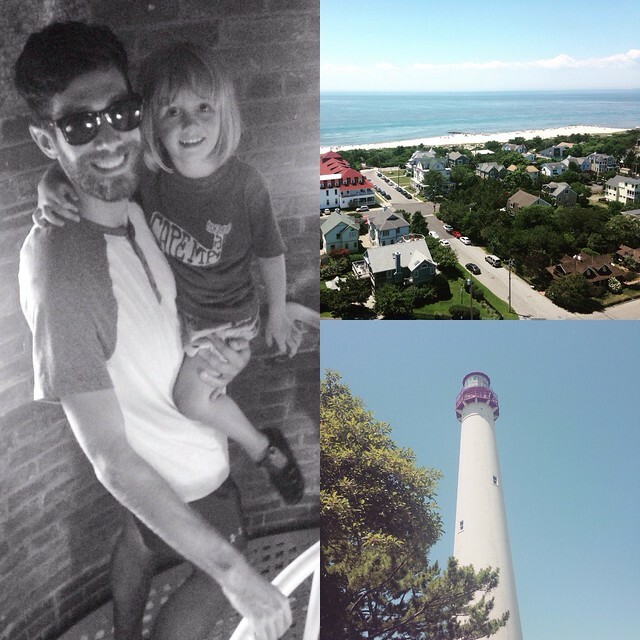 We climbed the 199 stairs to the top of the lighthouse and took in some amazing views. I’m not going to lie, getting up to the top was not my favorite activity. It was really hot + stuffy, there were lots of people, and the space was tiny. I would love to go back sometime when it’s cooler and there isn’t a festival going on. Oh, and Ada got to visit with Santa! Yup. Vacation was pretty great. But after two weeks, we were surely ready to come home. Without even planning it, Stephen and I got up with the same mission yesterday: Organize EVERYTHING in the house. We totally transformed Ada’s room. We’re working on the office today. I can’t wait to share some photos of what we’re doing. This is also all thanks to our annual Ikea trip (it’s a halfway stop between where we live and where we were vacationing). This week I’ve got a great pistachio pesto recipe coming your way. I’ll probably also ramble on a bit about turning 32 (tomorrow!). I also have some fall homesteading plans I want to share. So, check back with me. Vacation is over . . . and I’m so ready to return to regular life.